When it comes to Indian food I'll admit that I'm definitely not an expert, but I love the layering of flavours and combination of spices used in Indian cooking. 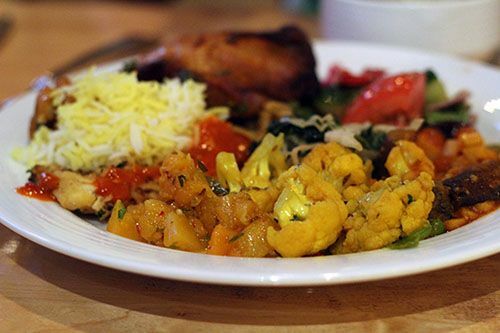 I typically associate Indian food with heavy cream-based sauces and rich flavour, so when I heard that there was an Indian restaurant offering vegan dishes in their buffet I was curious to check it out. 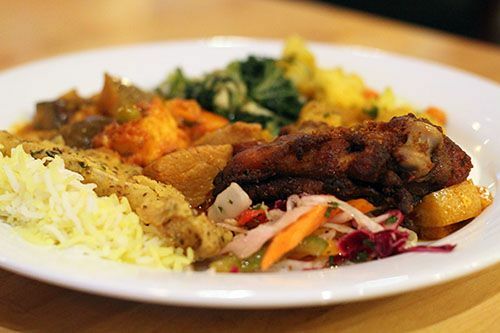 Tucked away behind the busy Whyte Avenue hustle and bustle, Narayanni's offers a bountiful buffet of South African Indian dishes. This family-run restaurant has quite the unique exterior, given that the building was a machine shop in the mid 1900's. After three years of renovations the Naidoo family opened Narayanni's in 2010 with the beautiful, warm interior present today. Selva and Daya Naidoo emigrated to Canada from South Africa in the early 1980s and opened up Block 1912 as one of their ventures together. After selling the business and enjoying a few years of retirement, Narayanni's (named after their granddaughter and the Hindu goddess of abundance) came to be. Now on any given day Chef Selva can be found preparing food in the kitchen, while Daya works on desserts or mans the front of house alongside his daughter Youmashni. 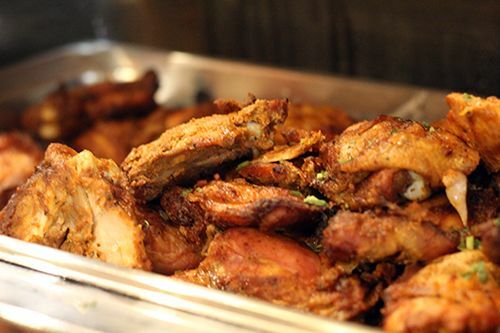 Specializing in South African Indian cuisine, Narayanni's offers a buffet with dishes that are lighter than the traditional Indian buffet. 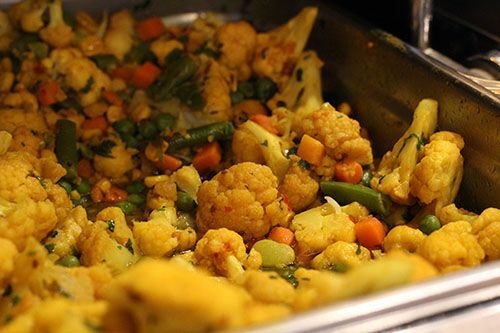 Without the use of dairy the flavours and textures of dishes are more prominent, and the buffet is a great option for those with vegan or dairy-free diets. The restaurant is proud to use free-range chicken and local produce whenever possible, and Chef Selva steers clear of artificial colouring, preservatives, and MSG. 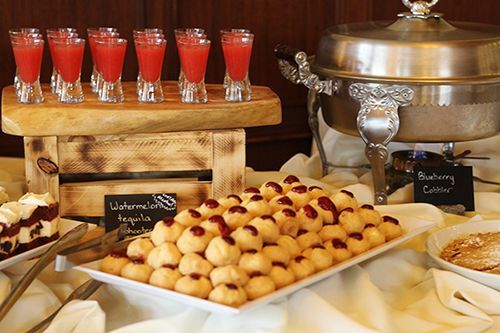 Narayanni's has always offered a dinner buffet, which changes nightly. Tuesdays feature a $15 cash only vegan buffet, Wednesdays are $15, Thursdays are $20, and Fridays/Saturdays are $25 (Saturday features a lamb!). The restaurant recently introduced a cash only lunch buffet from Tuesday through Friday from 1130 AM - 100 PM. 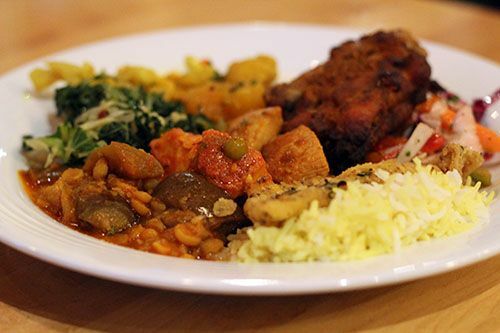 At $12 per person you have access to soup, salad, rice, 3 vegetarian dishes, 1 meat dish, and dessert. It's incredible value - just make sure to visit the ATM before you visit! My mom and I stopped by for dinner on a Friday night and we were pleasantly surprised by how busy it was. Despite being located behind a busy street, Narayanni's unique cuisine clearly brings in old and new customers. The circular buffet station featuring a variety of dishes sat in the center of the room, with Youshmani in the centre making drinks for guests. There were many dishes to choose from and we happily sampled our way through the buffet. To accompany our meal we were offered warm roti to soak up all the sauce on our plates. Unlike the traditional roti at Indian buffets, this one reminded me of a green onion cake - densely layered and super flaky. Of all the dishes that evening my favourites were the braised kale & cabbage and the braised cauliflower & peas. It was a surprise for me as these dishes, which were boring in appearance, turned out to be the the most complex in flavour and texture. 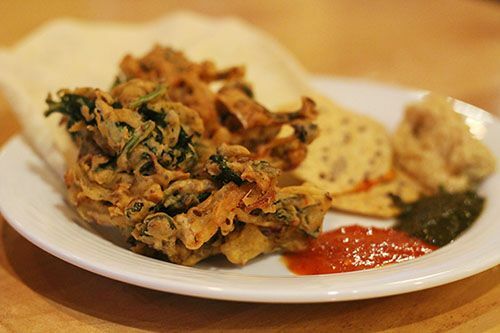 Papadums are also a favourite of mine wherever I go, but the hummus and chutneys accompanying these lentil crisps brought them to the next level. We rounded off our meal with a regular chai and a pistachio chai, both of which were excellent. The regular chai was just slightly sweetened, milky, and fragrant. 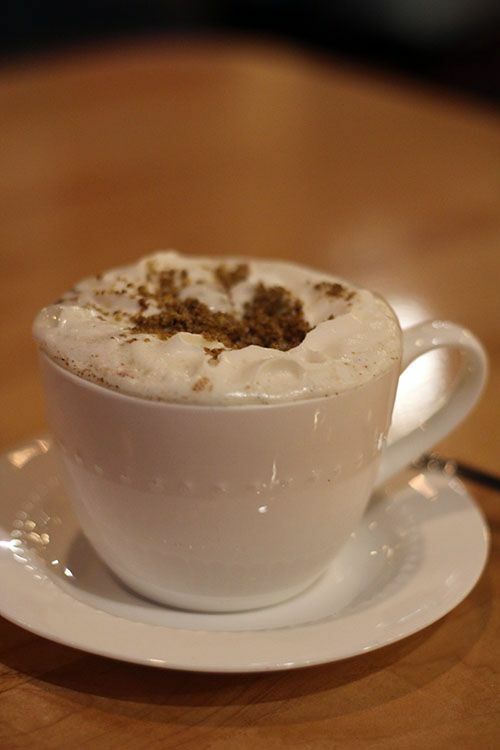 The pistachio chai, on the other hand, was a little more decadent with notes of almond and topped with whipped cream and crushed pistachios. At the end of the meal I was satisfied without feeling as weighed down as I would from traditional creamy, buttery-based sauces found in most Indian buffets. And most importantly, the lighter fare didn't sacrifice flavour. The lunch and dinner buffet Tuesday through Friday is affordable, and $25/person for a weekend dinner buffet is decent value, but I would have liked to see an additional protein option at that price point. Narayanni's is fittingly named and representative of the abundance of good food served by Chef Selva. 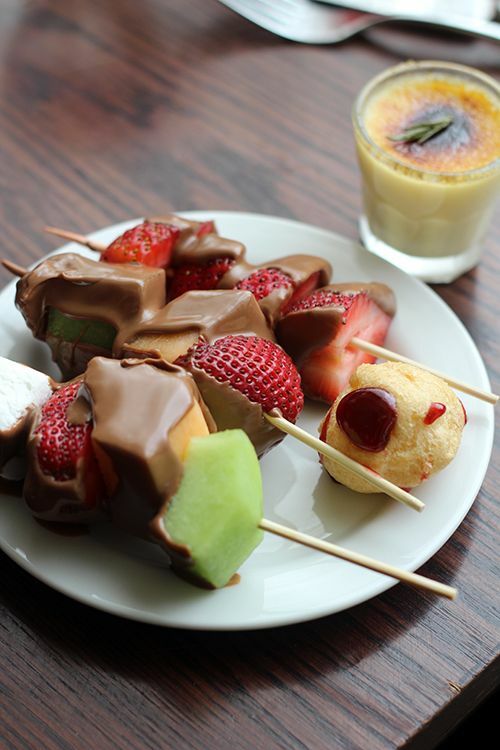 If you haven't been, you'll just have to see (and taste!) for yourself. *Disclosure: I was invited to try the buffet at Narayanni's Restaurant. Views expressed in this post are solely mine. This post is 100% my opinion, and as always, my priority is to you, the reader, to present an unbiased, thorough review. When I have guests visiting in the summer I always recommend a trip to visit Fort Edmonton Park. There is so much history in that park alone, it's fascinating to take a step into the past. During the off-season the park operates on a limited basis with occasional film screenings at the Capitol Theatre, accommodations at the Hotel Selkirk, and Sunday Brunch at the Johnson's Cafe. Fort Edmonton Park played a huge role in my childhood. From attending their summer camps to going on a yearly field trip with school, the park holds many memories for me and I make a point to visit once a year. 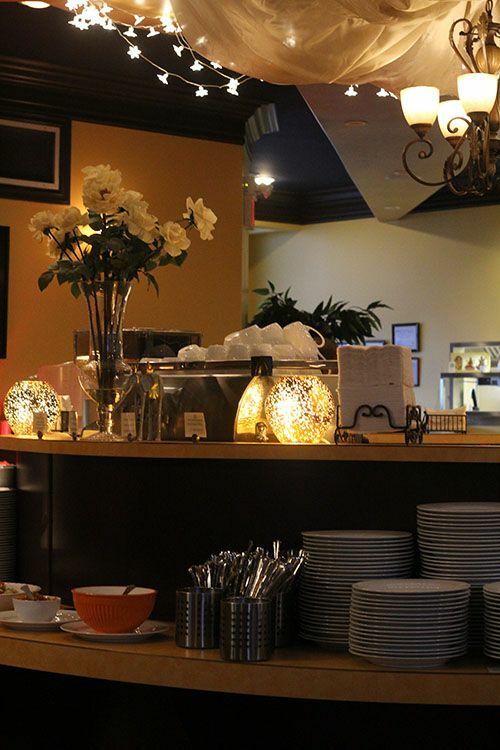 The park offers Edmonton's most unique Sunday Brunch setting, as Johnson's Cafe is inside the 1920's style Hotel Selkirk. 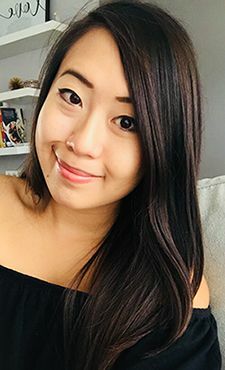 Brunch at Fort Edmonton has been on my to-do list for a while, so my boyfriend and I were excited to give it a try when we were invited by the park. Johnson's Cafe can accommodate up to 96 guests, and we were surprised to see how quickly the room filled up with tables of two and large family groups. 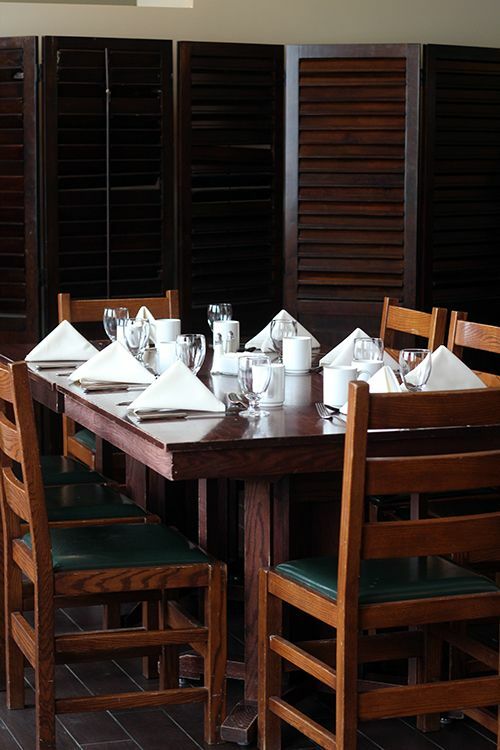 Sunday Brunch runs from 10:30AM-1PM with seatings available every 30 minutes. Tickets for brunch are purchased online in advance at a cost of $32.95 for adults (13+), $27.95 for seniors, and $19.95 for children aged 4-12. 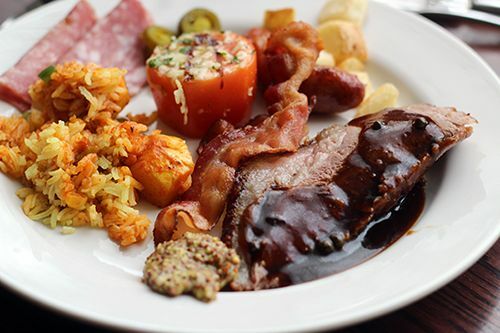 For a buffet-style brunch the pricing is similar to others around the city, but there is even better value when the park is open since park admission ($26.20 for adults, $20.90 for children/youth/seniors) is included in your brunch price! In terms of food there is a wide variety available and the serving stations literally take over the entire lobby of the hotel. 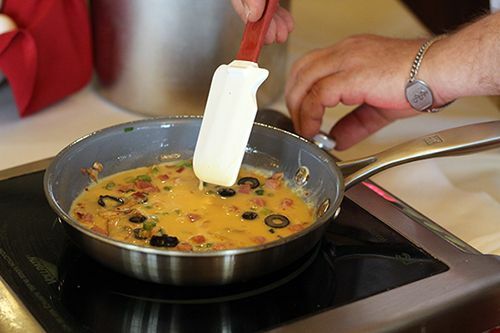 The stations are grouped into morning pastries, cold plates and salad, signature hot plates, a chef-attended omelette station, a chef-attended carving station, and a specialty dessert selection. 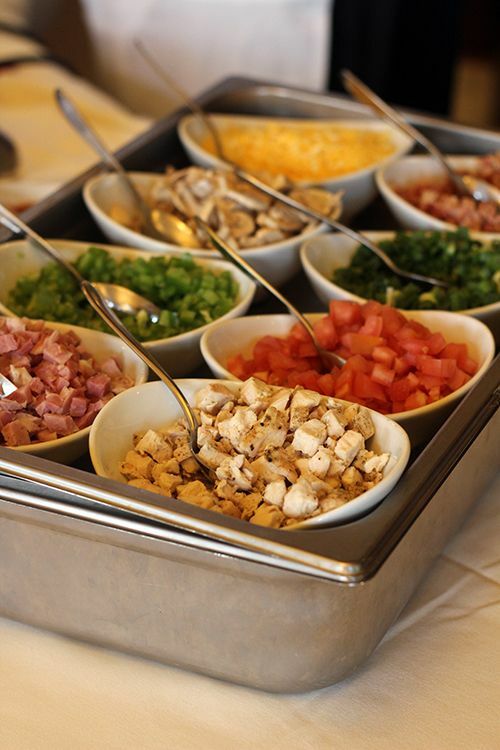 My first stop was at the made-to-order omelette station, where you could choose between an assortment of eight toppings. If the line was any indication, this was one of the most popular stations for brunch. 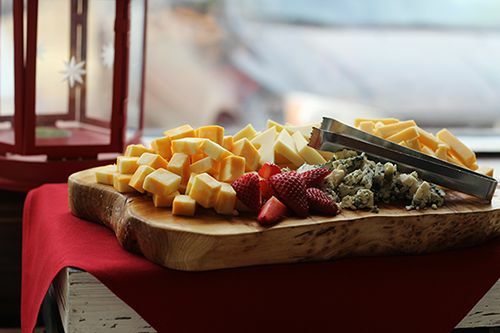 The cold section featured a fresh salad bar, assorted cold cuts and cured meats, pickled vegetables, fresh vegetables, and ready-to-eat salads like a traditional potato salad, corn and chickpea salad, and country-style coleslaw. From the hot side was a variety of breakfast and lunch options. Breakfast must-haves included crispy bacon, plump breakfast sausages, and crispy hashbrowns, but I particularly enjoyed the parmesan grilled tomatoes. The signature lunch dishes change from time to time, but the ones available during my visit included grilled chicken, pasta, vegetable paella, and seared salmon, among other dishes. The chef-attended carving station was featuring a beautiful prime rib with a peppercorn jus. If there was one thing I was saving room in my stomach for, it was for the jaw-dropping selection of desserts! With sweets like red velvet cake, cream puffs, blueberry cobbler, watermelon tequila shooters, cupcakes and other plates, I didn't know where to start. The desserts change from one week to the next but the milk chocolate fountain is a staple, and when I saw the flowing chocolate I was done for! After dipping numerous skewers of fresh fruit, marshmallows and rice krispies into milk chocolate, the other dessert that caught my eye was the rosemary creme brulee. 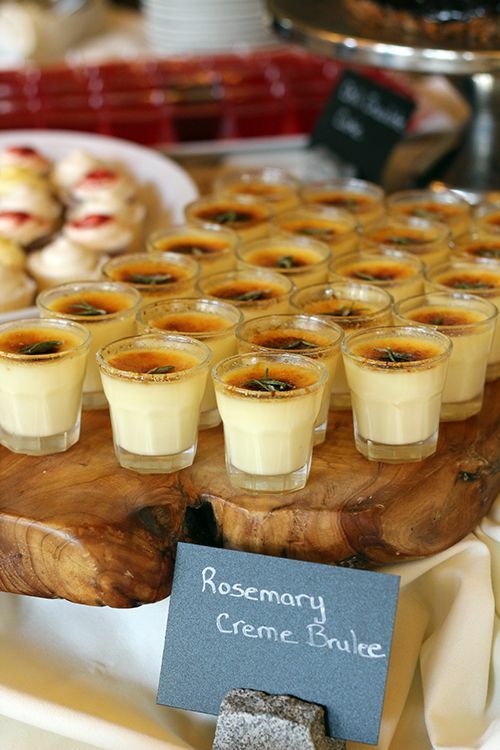 The smooth custard with earthy rosemary was a perfect flavour combination that I'm going to have to replicate at home! The Sunday Brunch experience at the Johnson's Cafe was lovely. Our server was constantly checking in and made sure our water glasses and coffee mugs were never empty. Food quality was great and there was enough selection to ensure there was something for everyone. While having brunch in a 1920's style hotel is an experience in itself, take advantage of the brunch price during Fort Edmonton Park's operational season and explore the park after brunch! With admission included in your brunch price, it really is a no-brainer. *Disclosure: I was invited to try the Sunday brunch at Fort Edmonton Park. Views expressed in this post are solely mine. This post is 100% my opinion, and as always, my priority is to you, the reader, to present an unbiased, thorough review. Edmonton's brunch culture outside of buffet-style service was never hugely popular until last year. I've been noticing more restaurants jump on the brunch train, the latest being a popular Mexican spot right in the heart of Old Strathcona. 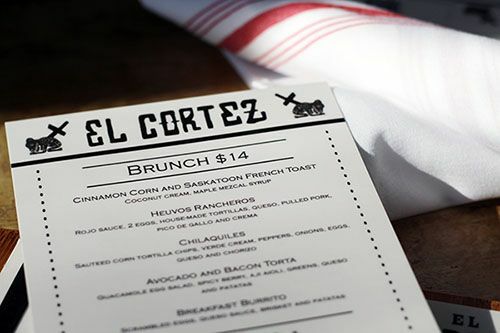 As a place I frequent for tasty tacos and guacamole on the patio in the summer time, I was excited to see El Cortez offer brunch starting the weekend of March 19 & 20. 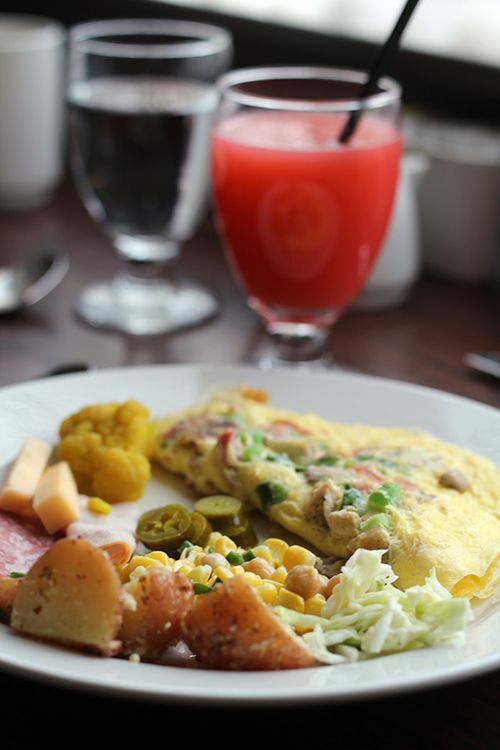 Every weekend from 11AM - 2PM the restaurant offers five brunch dishes at a great price of $14. I dropped by with my sister for brunch on opening weekend at 11AM and the restaurant was bright and inviting. We were shocked to find how quickly the restaurant filled up, as every seat was occupied by 11:30. Edmontonians love their brunch! Chef Lindsay Porter designed this menu to reflect traditional Mexican elements, while staying true to the LA inspiration that the dinner menu draws upon. While all the options sounded fantastic I couldn't pass up the Chilaquiles, which featured peppers, onions, verde cream, queso, chorizo, and two eggs with sauteed corn tortilla chips. Arriving piping hot (and on a beautiful plate to boot! 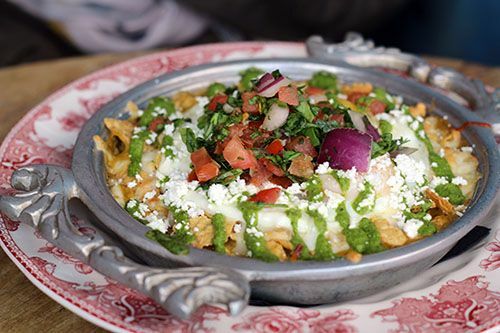 ), the chilaquiles had a punch of flavour and a kick of heat with every bite. The oozy egg yolk really brought all the ingredients together in this filling dish. My sister went for the Huevos Rancheros with rojo sauce, 2 eggs, queso, pulled pork, pico de gallo, and crema on housemade tortillas. The fresh pico de gallo went well with the smoky pulled pork and rich rojo sauce. 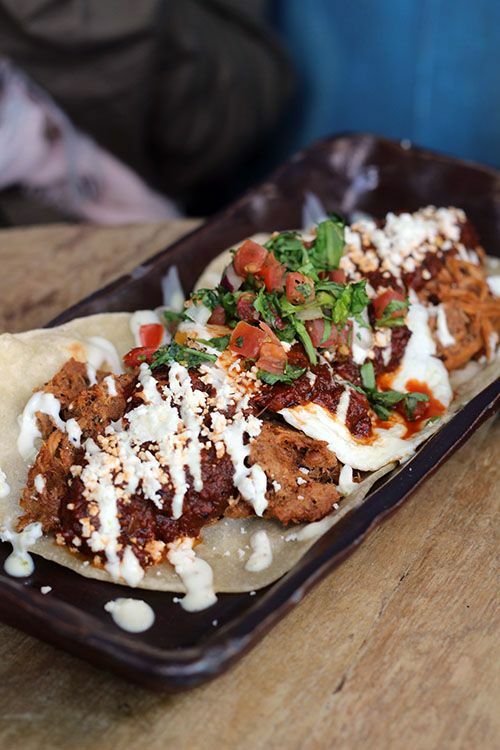 It's another filling brunch dish, but who can say no to tacos early in the day? 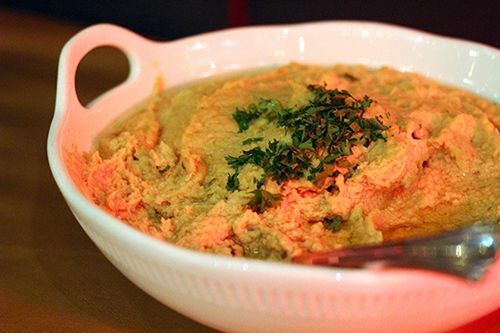 To accompany brunch plates, El Cortez offers a variety of sides ($4) to mix things up. While thick cut bacon, cornbread, and fresh fruit are great options, I had my eye on the Fried Patatas. 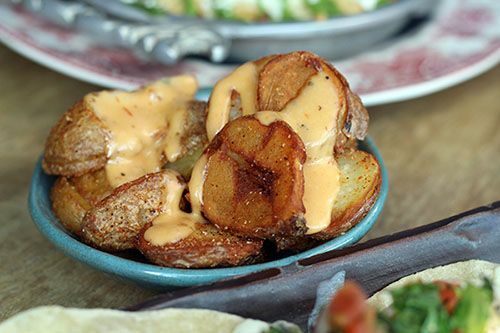 I just can't say no to crispy potatoes seasoned with smoked paprika and drizzled with tangy aioli! El Cortez is a strong contender in the Edmonton brunch scene. Although the menu is small there is something for everyone at a very affordable price. 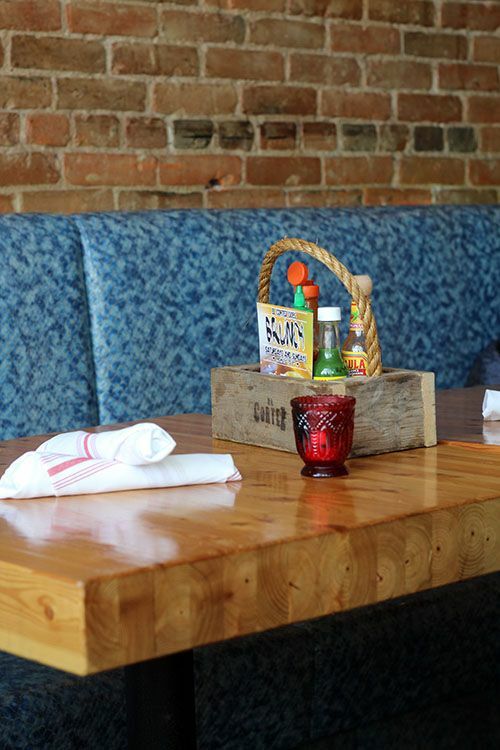 Service is great, food is tasty, and the lively environment is perfect for fun, casual brunch. If you don't feel strongly about any dishes in particular the regular menu is available too, so swing by on the weekend and let me know what you think!